Often I do my grocery shopping in the morning. Sometimes it’s best to just get it out of the way so I have the rest of the day free to spend with my little ones, write recipes, or cook. I’ll wake the kids up, pack everyone in the car while they’re still calm and groggy and head off to the store. Often I’m still groggy too, and it just doesn’t make sense to stop at those expensive coffee shops when I’m the type that shops for the best deal with my groceries. 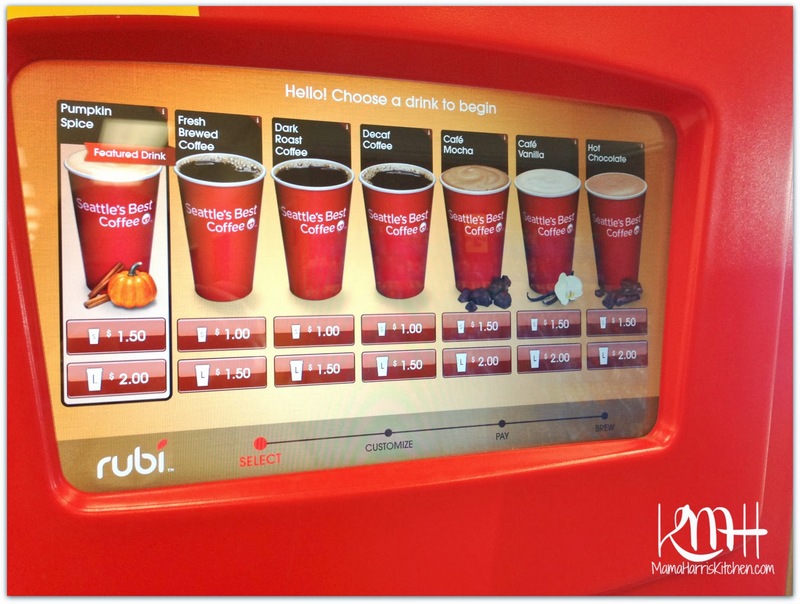 The first time I spotted a Rubi Kiosk at my favorite grocery store I was intrigued. 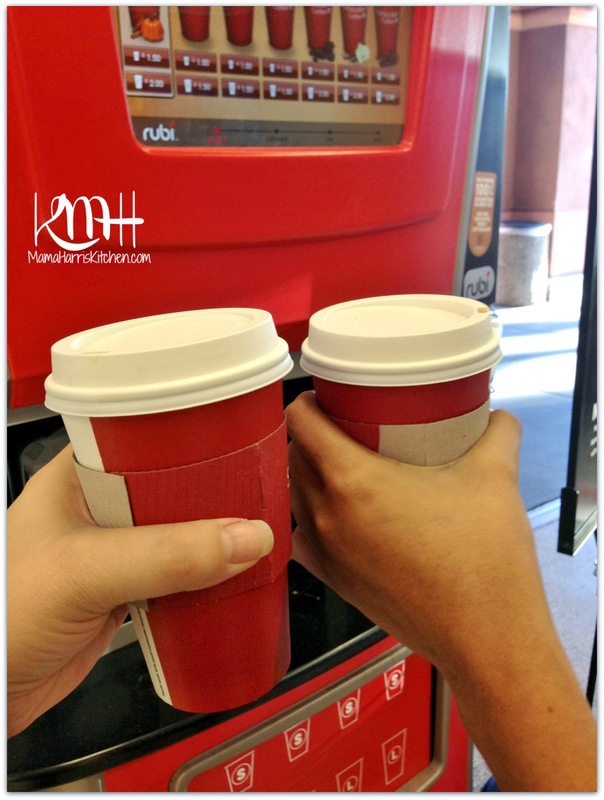 They look similar to the movie rental or coin machine kiosks, yet they serve coffee. This is my kind of kiosk! I’ve already shared my love affair with coffee so there’s no need to get into that again. Not only do these kiosks serve up a convenient pick-me-up for folks like myself, dragging themselves to the grocery store straight out of bed, but you can get a delicious cup of Seattle’s Best Coffee for a fraction of the price of those fancy coffee shops! 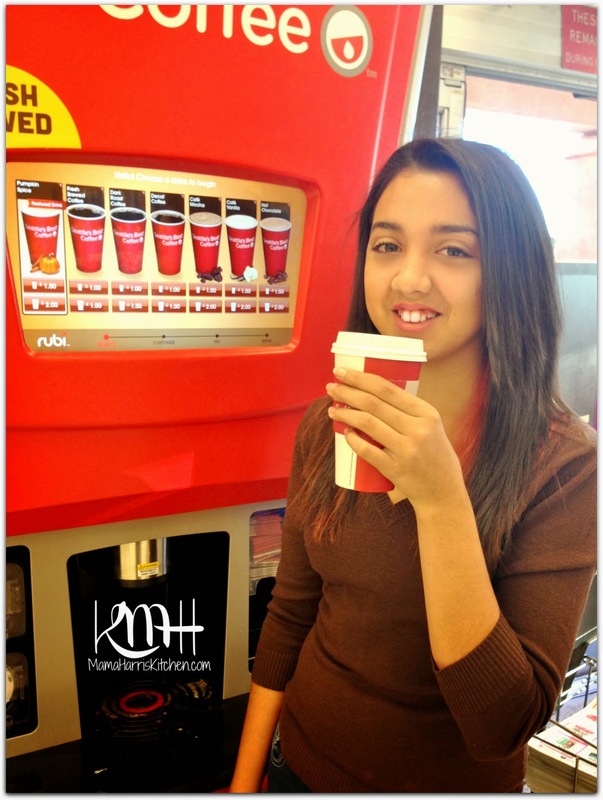 The Rubi kiosks are located in a variety of stores nationwide. Click here to find out if they’re in your area. They’re typically found near the checkout registers or the entrances and exits, an ideal location for you to grab one and enjoy it while you shop. There’s a variety of roasts and flavors to choose from, the non flavored cups start at just $1.00 for the smaller cup, with the flavored varieties only being fifty cents more. What a deal! I posted a video of the purchase process. This is when the coffee beans are freshly ground as you wait! 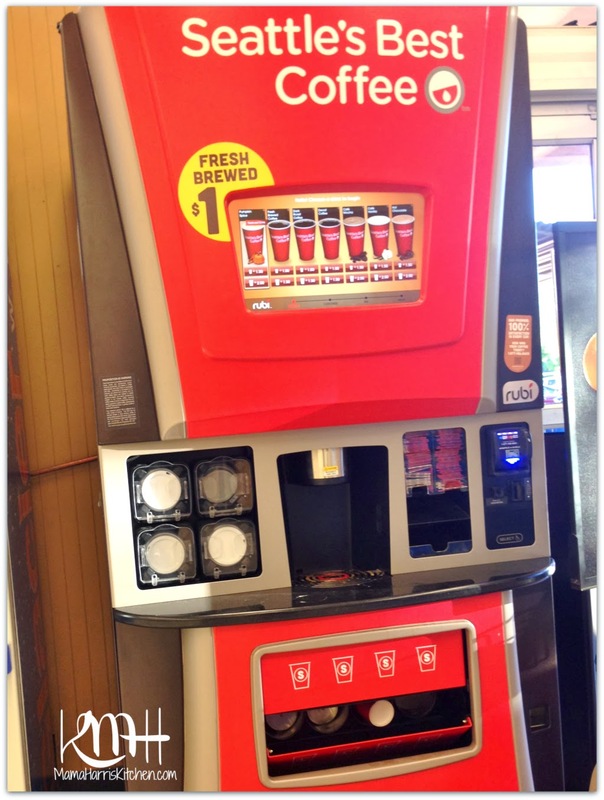 Most kiosks carry sweeteners, creamers and other customizable items. I love the interactive screen, when the little ones are with me at the store they enjoy watching the screen pictures to see what’s going on in the machine while we wait. This particular morning RiRi was with me, we headed to the store to grab a few items before taking her to school. She’s already a coffee fan and we enjoy sharing the experience. Cheers! Two pumpkin spices, we’re ready to shop! 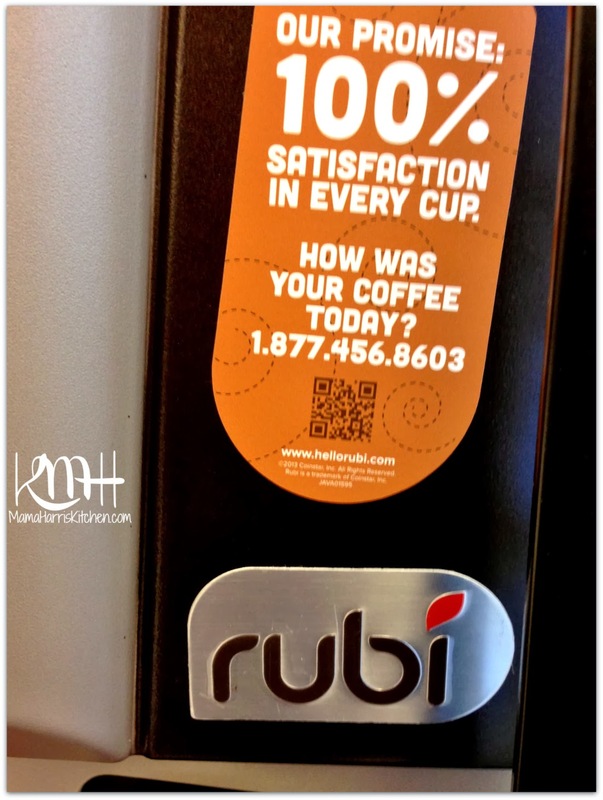 Rubi kiosks offer 100% satisfaction guarantee, and there’s even a QR code you can scan from your phone to rate your experience! 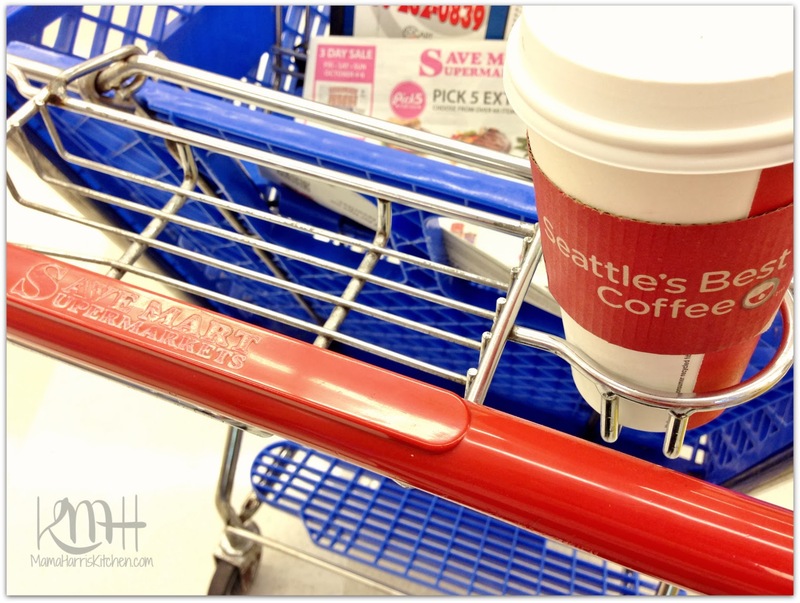 I love that my particular store I went shopping at has cup holders in the basket. It just ties the entire experience together nicely. Now I can enjoy my cup of coffee while I grab my groceries! That’s my kind of morning! 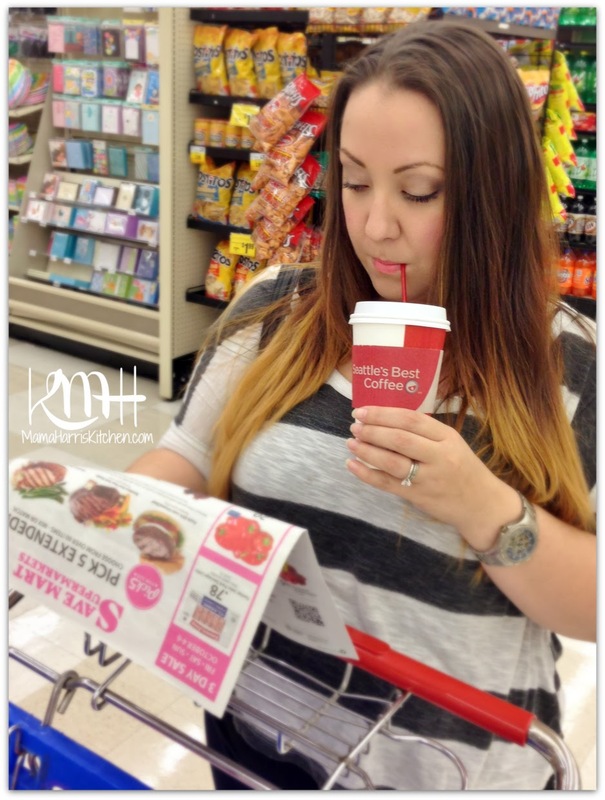 If you would like to try Rubi coffee kiosks in your area, see where you can find them in your area and then text BEAN2CUP to 727272 to receive a free cup today! In addition to giving feedback witht he QR code, you can also follow along on Twitter to share you experience! You can also check out my Google+ album showing my first experience at Rubi kiosks! Which flavor are you most likely to try out with your free code? That is a really cool machine! They need to add a Sprinkles Cupcake Kiosk too! LOL! I love that I can try it out with that text code! And I am so glad that its in SaveMart!! Thank you for sharing this with us! Coffee Girl!! Yes, they’re wonderful! Thank you Kristen!